Do you send your children to the least demanding school you can find? Of course not. What kind of parent are you? You know that they need to measure up to a high standard in school if they are to do well in life. Yet every day I hear business leaders claim that they want to avoid competition. Are you one of these leaders? What kind of leader are you? Of course, when organizations compete, they make it difficult for each other to perform well. But this fact has led to a great misunderstanding. Many business leaders, especially those trained in business schools, infer from this fact that they should avoid competition. That conclusion is wrong. 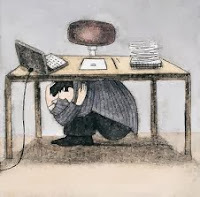 Pressure from competition causes people to search for ways to improve their company's performance. These improvements, in turn, make companies stronger competitors. So now these improved firms put more pressure on their rivals, who must also find a way to improve. Once those rivals improve, they now are stronger competitors, starting the whole cycle over again. 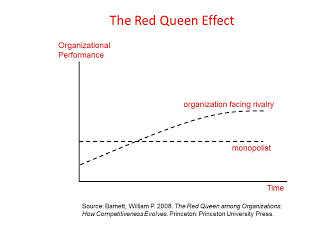 So it is that competition causes organizations to learn, which in turn intensifies competition in a self-accelerating process known as the “Red Queen” effect. This term was coined by the evolutionary theorist Van Valen in reference to Lewis Carroll’s Alice who remarks to the Red Queen: “Well, in our country, you’d generally get to somewhere else – if you ran very fast for a long time as we’ve been doing.” To this the Red Queen responds: “A slow sort of country! Now, here, you see, it takes all the running you can do, to keep in the same place.” Van Valen noted that biological evolution features such change. In my book, I demonstrate that in an ecology of learning organizations, relatively stable performance masks absolute development. The Red Queen is at work around us all the time, triggering progress on many fronts. When the Korean steel firm Posco came up with the "finex" process, this innovation raised the bar for any firms wanting to compete in the global steel business. Those steel firms that kept pace are still competing today. Similarly, when Qualcomm revolutionized digital wireless transmission by making CDMA technology workable, this put pressure on every other firm in that space to respond. Apple, Samsung, Nokia, Ericsson, LG, and many other firms engaged in that competition for years. Some still are competing, but only by remaining innovative. 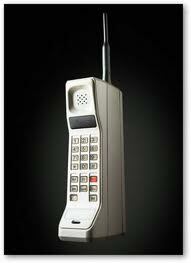 As a consumer, you probably think of this amazing record of innovation as something that was inevitable. But this development did not have to happen. Each innovation along the way was carried out by a firm as it attempted to do a better job, in turn raising the bar for others. So perhaps for a while your your device could not map correctly, but by now the problem has been fixed. Competition still thrives in the wireless industry, so each manufacturer keeps pressuring its rivals to do a better job. Yet according to many, firms are supposed to find a way to avoid competition - to gain "positional advantage" or locate in "blue oceans" where rivalry is weak. Had Qualcomm, Apple, LG, Samsung, and the others taken this advice, how different the wireless industry would be. (Indeed, many experts on the telecommunications industry argued just a few years ago that it was a "natural monopoly", where competition would be "ruinous"!) Avoiding competition would be more comfortable, for sure. But avoiding competition is just a way to shut down the engine that generates innovation. On the left, comparing two inexperienced firms, the monopolist performs better. But over time experience makes the firms facing rivalry improve, eventually becoming better performers than had they found a way to be a monopolist. That is the Red Queen effect. As a firm competes, it becomes more capable, and so performs better. Even though its rivals also perform better, the net effect turns out to be beneficial in time. Highly competitive markets, over time, feature some of the world's most capable and innovative companies. Reflect on your role as a business leader. Is your job to shield your company from competition? Not if you want it to learn and improve. Short-sighted business leaders hide their companies from competition. Great leaders do just the opposite: They understand that competition teaches. So what kind of leader are you? read: My book on Red Queen competition.